Marist Unit leaders and deputies from Asia, Australia, New Zealand and Oceania, MAP, met June 19 -21 in Ranong, Southern Thailand. Some of the matters under consideration included studies, ongoing formation, standardisation of agreements for contracts between each unit, professional standards and finance. Looking forward, the meeting considered issues such as, ecology and a possible new community working with migrants and education. The annual meeting of MAP leaders works in a fraternal and collaborative way helping build relationships of trust, support and encouragement. The yearly event rotates between MAP Marist Units and is an opportunity for each Unit to report on mission progress and discuss further collaboration in the South Pacific and Asia. While in Ranong, MAP participants took the opportunity to visit the Marist Asia Foundation school in Ranong and the work the Foundation does in HIV-Aids care. Fr Ben McKenna from the Society of Mary General Administration in Rome was also present. Around 40 young people gathered recently in the Philippines for the 2017 Marist Vocation Jamboree. Held in Matti District Catholic Centre, Brgy. 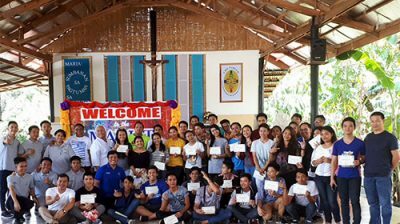 Matti, Digos City, the event was hosted by the Marist Fathers’ Community in Matti, and facilitated by the vocations directors of the Marist Fathers, Marist Sisters, and Marist Missionary Sisters. The event introduced the Marist vocation to the young people and was a combination of lectures, reflection and sharing, games, and prayer. Several participants expressed their delight in the experience and look to furthering their contact with the Marists. 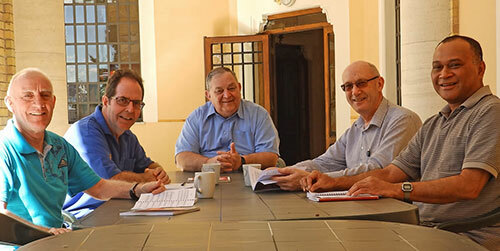 Marist Fathers Australia Provincial, Fr Bob Barber has written to the Australian province confirming a good majority of the province could not see the rationale nor benefits of merging with the Marist Mission District of Asia. Writing in the Provincial Circular of Australia, April edition, Fr Barber confirmed Australia’s decision not to reconfigure and thanked Australian Marists who participated in the process. From Rome, Marist Fathers’ Superior General, Fr John Hannan, reacted positively to the solid commitment within all the units of Marist Asia Pacific (MAP) for greater collaboration. Fr Hannan is adamant that MAP, as a group, must agree to adopt at least one concrete project that all of MAP are all involved in. Fr Barber also acknowledged existing efforts but said the level of co-operation across MAP needed to increase. “The key that allows this to happen will involve a radical change for some of us in the way we see and do things. “Any ‘us – them’ element that we have in our current outlook will have to give way to seeing ourselves more and more as ‘one'”, he wrote in the Provincial Circular. Telling Australian Marists that ‘mission’ must always be front and centre of who the province is and what it does, Fr Barber said the Society needed to work together more and support each other in mission. Without wanting to downplay the province’s demographics, the smaller pool of available Marists and the need to care for aging Marists, Fr Barber said it is a false assertion to say that the Australian province’s main obligation today is to look after elderly confreres. The question of restructuring was easily the largest item on the agenda of the 2016 New Zealand Provincial Chapter. Would the New Zealand province move to unite with the province of Australia and the district of the Philippines to form a new province, with the provisional title of “South Pacific Asia”? A formal motion to this effect included two subsidiary motions with rules for choosing a provincial and for constituting a first provincial chapter. These came from a combined working group of the relevant provinces and district. The working group also provided Chapter members with a paper “Restructuring for Mission of the Provinces of Australia and New Zealand and the District of Asia”, along with other documents, including a legal opinion on the implications of merging or coordinating charitable trust boards in Australia and New Zealand. It was thought that the New Zealand chapter would face a close vote. A restructured province is too unwieldy, would range over a vast geographic area, cover four different legal jurisdictions, be too demanding on administrators and will not produce new energy for mission. There are also too many financial and legal risks. While regional meetings in the province had thrown up a variety of views, the straw vote from the regions was substantially in favour of the merger. In 2008 New Zealand had voted with a comfortable majority in favour of a merger with Australia, in contrast to the Australian chapter, which had voted “yes, but not yet”. There were therefore preliminary indications that the New Zealand province might well favour the proposal. The chapter addressed the matter on its second day, Tuesday 5th July, intending to discuss the issue, and to vote on the following day. The session began with questions and answers, with an initial focus on the provisions of the “Restructuring” document. Leading the discussion, Tim Duckworth emphasised that it was a kind of road map that offered advice on how to get to a certain place (he suggested we call it “Venice”), without taking a stance on the question of whether we should go there. Questions followed about the detail of the procedures and then about the proposal in general. The Chapter broke into small groups, after which it moved to an open forum where members responded to the proposal publicly for the first time. What followed took everyone by surprise. the question of whether the new entity would really be regarded as a province. Discussion concluded after about an hour, and the Chapter registered a moment of collective surprise, as it sank in that almost all speakers had expressed serious reservations, so that a vote would clearly go against the proposal. After lunch there was discussion on whether the Chapter should proceed directly to a vote, or whether the vote should be left until the following day. It was decided to proceed. The mood was calm and sober. After a short break for prayer, with a reading from the Constitutions and singing of the “O Maria”, the Chapter voted 17-1 against the proposal. Was there a single reason to explain such a surprising result? A flight between Wellington and Sydney is roughly equivalent to a flight from London to Moscow….There was a feeling that the proposal would direct too much energy into things that did not give energy. Among the different issues and perspectives of a complex discussion, one reason perhaps stood out. It was that the merger would require an immense commitment of energy, especially from the abler members of the two provinces over the next few years. This commitment would be focused on governance and administration. The geography of the new province loomed large in this discussion, with some noting that a flight between Wellington and Sydney is roughly equivalent to a flight from London to Moscow, with a flight from Wellington to Manila at least three times as long. There was a feeling that the proposal would direct too much energy into things that did not give energy. The Chapter did not want to lock itself into a future whose lines were largely determined by structural questions, with administrators grappling with conundrums of governance and administration, rather than with questions of mission. Along with all this, Chapter members strongly asserted the commitment of the New Zealand province to its continuing support of the other Marist units in the region. 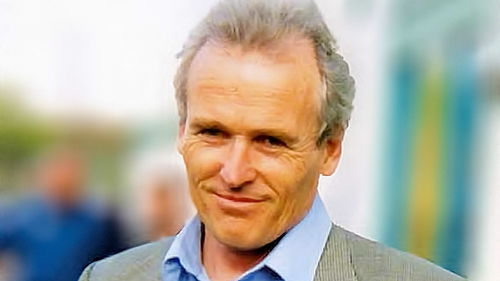 John Owens SM is a lecturer in philosophy at Good Shepherd College. Article first appeared in New Zealand province newsletter. Used with permission. The New Zealand province of the Society of Mary is meeting in Chapter 3-8 July. A major issue for consideration is the reconfiguration of the Asia district, and Australia and New Zealand provinces into one province. The issue of reconfiguration with Australia was initially voted on eight years ago, New Zealand voting “yes” and Australia saying “not yet”. For the last year or so, and at various levels, the whole New Zealand province engaged in a process leading to its 2016 Chapter making a decision on this matter. The main topic of day two of the Chapter was reconfiguration and early Tuesday evening the Chapter issued the following statement. “The Chapter of the New Zealand Province of the Society of Mary has voted 17-1 against the above proposal to form a new province with the Province of Australia and the District of Asia. “We did this seriously and prayerfully, conscious of the impetus for reconfiguration given by a series of General Chapters, and the desire of the General Administration for structural change to address our diminishment as a congregation. “We felt that the suggested restructuring, which would cover a vast geographic area and four different legal jurisdictions, is unwieldy, and overly demanding on those elected to govern and administer the proposed new province. It is hard to see that it would produce new energy for mission and ministry. “Further arguments expressed in the Chapter sessions included concerns about financial and legal risks in the present political climate and the disproportionate amount of work to address problems that were fundamentally administrative. “While opting against this particular proposal, the Chapter strongly recommits the New Zealand Province to the ends and purposes of the Society of Mary in the Asia Pacific region including cooperation with the Province of Australia and the District of Asia. Two weeks ago the Australian Provincial chapter voted 15 – 4 in favour of reconfiguring with Asia and New Zealand. 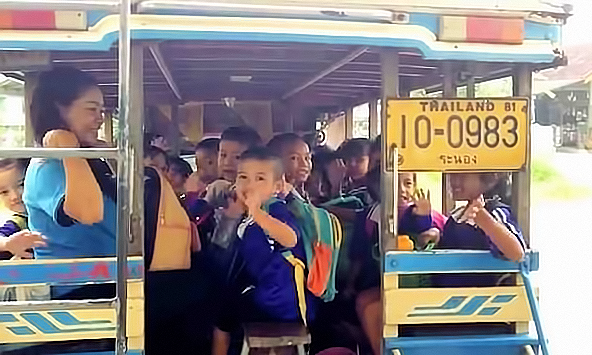 The Marist mission in Ranong, on the Thai-Burma border enjoyed and exception 2015. In an area where many experience oppression, few job opportunities, HIV/AIDS and lack the opportunity for education, the Marist mission in Ranong continues to punch well above its weight. It is estimated there are over 160,000 Burmese refugees and over 1 million Burmese migrant workers seeking work in Thailand, and the latest estimates suggest Ranong alone has up to 140,000 Burmese migrants, most of whom work in the fishing industry. Working in the fishing industry is tough work in Thailand, but more-so when you’re a migrant worker. enabled all the 2015 ACU university graduates to gain employment. The Marist Asia Foundation also provided English and computer classes to help migrant workers gain more skills, enabling their likelihood of a better future. 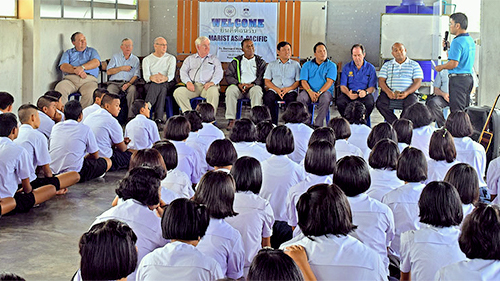 “The more we learn about our students and migrant families the more we recognise the large obstacles and their hunger for education as a step to a brighter future”, said Fr Kevin Medillo, leader of the Marist mission in Ranong. New Zealand Marist, Fr Frank Bird who works primarily in the school shares a similar view. “Probably the greatest achievement is seeing 200 Burmese migrant children coming to the Marist Centre every day, safe, smiling, enjoying learning, and growing in self-confidence and hope”, he said.